James E. "Jim" Rogers was a rare breed. For one thing, he was a native Las Vegan. He was born on September 15, 1938 in Las Vegas, Nevada and was a 1956 graduate of Las Vegas High School. He has always been a vocal proponent of the importance of education. He held a B.S. in accounting, an LL.B. in law from the University of Arizona and a Master of Laws (LL.M.) from the University of Southern California. He was a teaching fellow in the law school of the University of Illinois in 1963 and 1964. In 1998 he was awarded a Doctor of Laws (LL.D.) from the University of Arizona. Rogers held honorary doctorates from University of Arizona, Idaho State University, Kentucky Wesleyan College, Carroll College and University of Nevada, Las Vegas. He was also a member of the State Bar Associations of Nevada, Arizona and California. That's what we like to call a game-set-match resume. In 1971, Rogers founded the Valley Broadcasting Company. He soon bought out the local Las Vegas NBC affiliate, then known as KORK-TV. His takeover was aided by NBC corporate because the previous owners had a tendency to heavily preempt NBC programming in favor of local programming. The most egregious case of this was the pre-empting of the 1978 World Series. This action enraged both Las Vegas locals and NBC, so the former owners were essentially forced by both NBC and the FCC to sell the station to Valley Broadcasting Company. On October 1, 1979 the station became KVBC, reflecting the new ownership, and Rogers became CEO. Rogers owned 98% of the stock of the newly named Sunbelt Communications Company (now known as Intermountain West Communications Company), which owns and operates the NBC affiliate television stations in Las Vegas, Reno and Elko, Nevada; Yuma, Arizona-El Centro, California; Helena, Montana; Pocatello-Idaho Falls, Idaho; Casper, Wyoming; and the Fox affiliate in Twin Falls, Idaho. As if all that wasn't enough, Jim was also part of an active law practice in Las Vegas from 1964 to 1988. Thanks mainly to the success of Sunbelt and Intermountain, Jim Rogers became an extraordinarily wealthy man. As we mentioned earlier, in 2007, Rogers himself pegged his personal net worth at $300 million dollars. And what did he do after accumulating a $300 million dollar fortune? Did he buy private islands and private jets? Mansions all over the world? Sports teams? Actually, Jim Rogers decided to give pretty much all of it away. Well, actually he did allow himself to splurge on a pretty amazing car collection. His collection of over 100 classic and new cars was estimated to be worth over $20 million dollars. • $135 million to the University of Arizona College of Law. This is the single largest gift to the University of Arizona and the largest gift to an American law school ever. In 1998 the Arizona Board of Regents renamed it the University of Arizona James E. Rogers College of Law. • $28.5 million to the University of Nevada , Las Vegas College of Law. This gift help establish the law school at UNLV. • The construction of a building on the campus of Great Basin Community College in Elko, Nevada at a cost to Sunbelt of $1.25 million. The building houses an NBC station and classes for teaching communications. 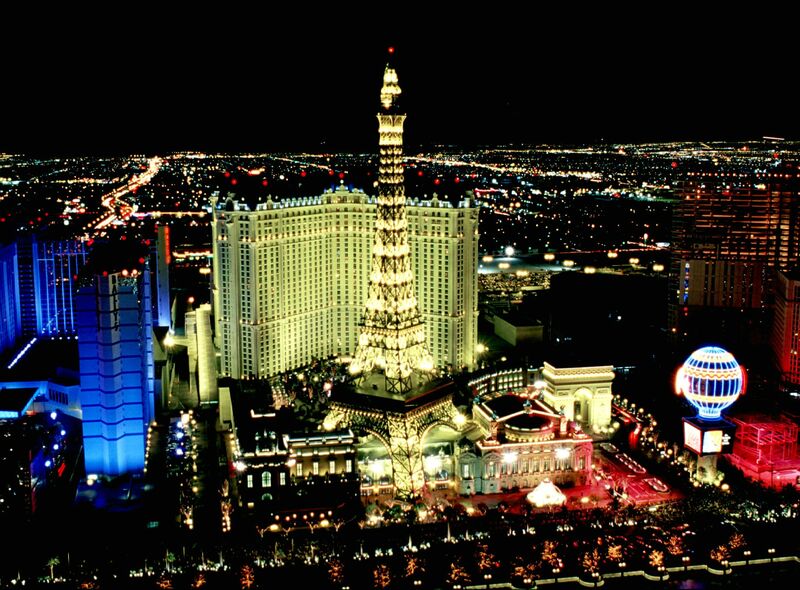 • He set a challenge for the UNLV Foundation to raise $500 million, which they did, in spite of the recession. • His tireless advocacy for his state's higher education protected Nevada's colleges from the governor's proposed deep cuts. • UNLV's Boyd School of Law, which his $28.5 million donation helped start, was named one of the top 100 programs in the U.S.
• His clashes with UNLV President Carol Harter and UNR President John Lilley caused both to quit. • He vociferously criticized Nevada's tax policy, calling for personal and corporate taxes to help pay for education. "Jim and I were contemporaries while practicing law, and what a terrific lawyer he was, and his talents were not limited to law. What he has done in education is superb. His philanthropic endeavors are unsurpassed in the state of Nevada." "Nevada has lost one of its most outspoken and fearless advocates. Jim dedicated his time and resources to advancing our education system and as chancellor of higher education, was fierce in his commitment to make sure our students had the resources they needed to succeed. Jim's legacy will live on in the many lives he touched throughout his truly remarkable career." When Rogers retired as chancellor in 2009, he told the Las Vegas Sun newspaper: "I'm very demanding of other people and myself…I've got one shot going through this life. I want to make sure I do as much as I can," he said. In 2010, the Nevada Board of Regents honored Jim with the title of chancellor emeritus and awarded him its highest honor, Distinguished Nevadan. Last year, he received the President's Medal from UNLV. Jim Rogers is survived by his wife Beverly, his three children from a prior marriage, and eight grandchildren. He will be missed by his family and his friends, but his legacy will live on for the many thousands of future students in the Nevada colleges and universities he fought for so tirelessly all his life.